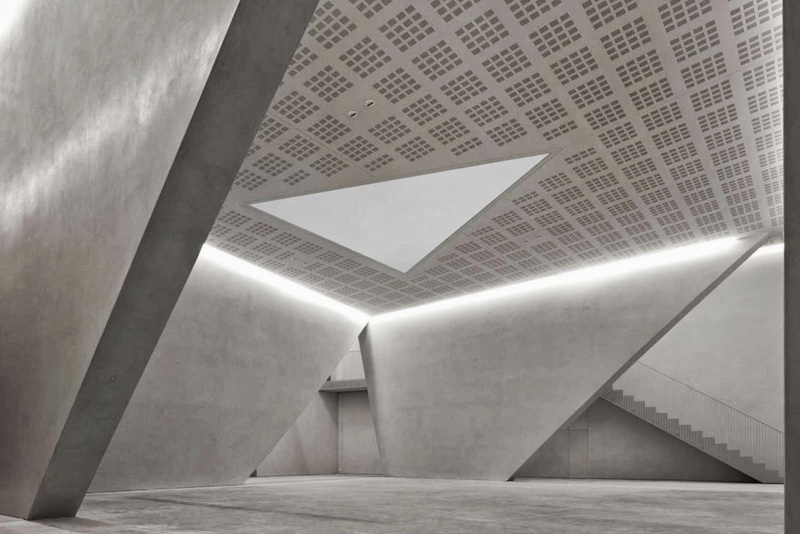 Punta della Dogana strengthens its implementation within the artistic and cultural life of Venice thanks to the Teatrino, a new location dedicated to conferences, talks, screenings, and concerts. 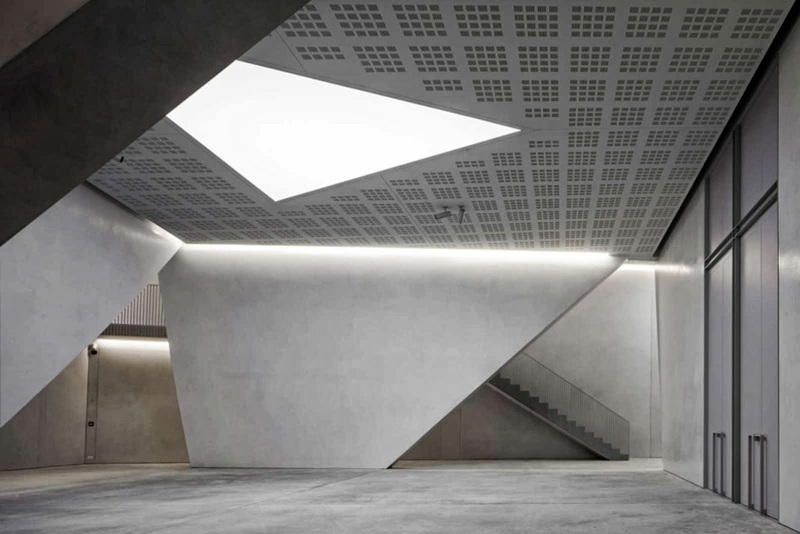 After the restoration of Palazzo Grassi in 2006, followed by that of Punta della Dogana in 2009, the rehabilitation of the Teatrino in 2013 marks the third step of François Pinault’s cultural project in Venice. 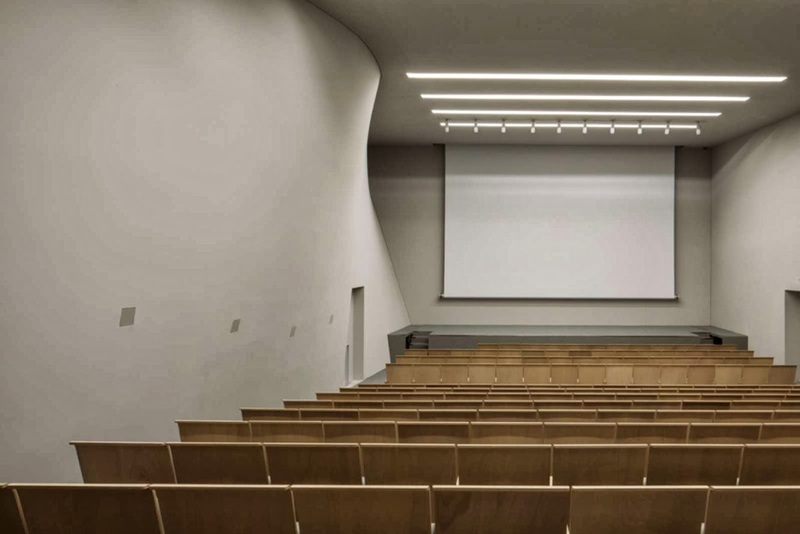 Conceived and executed by Tadao Ando in close collaboration with the Municipality of Venice and the competent authorities and services, this restoration maintains the spirit of architectural continuity of the preceding renovations. 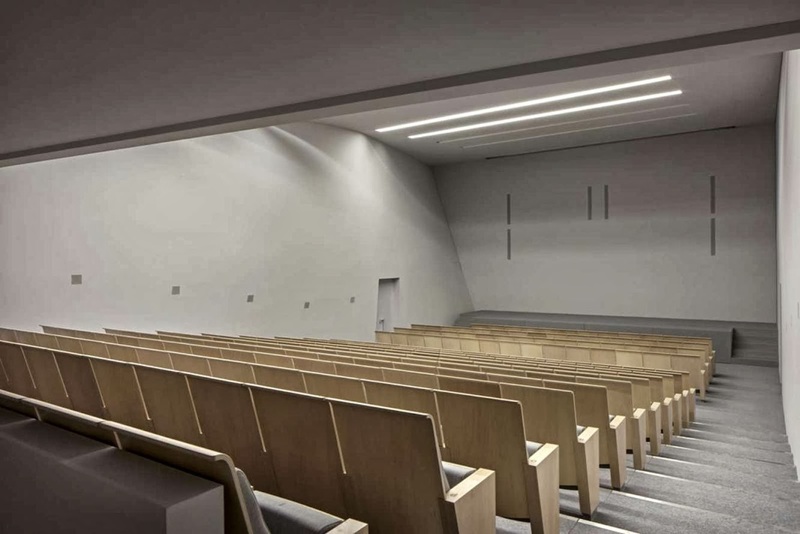 With a 1,000 square-meter surface, the Teatrino is equipped with an auditorium of 225 seats, two foyers, and spaces for technical equipment (boxes, equipment for stage management and simultaneous translation, etc.). 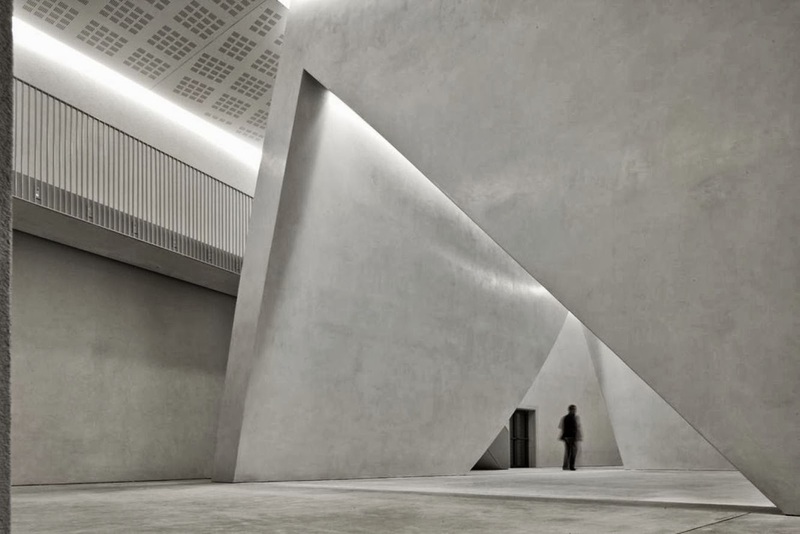 The architect Tadao Ando worked from the existing plan of the building and kept unaltered both the external position of the walls and their consistency. 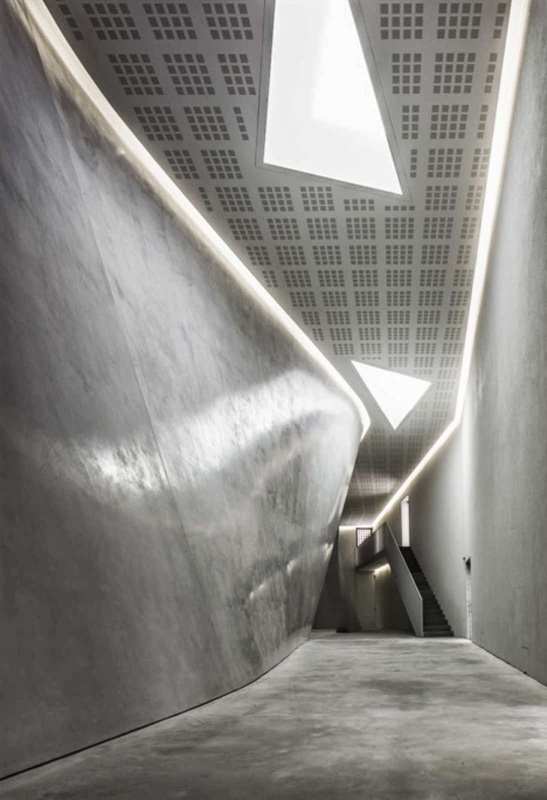 the roof was transformed into a unified and uniform slope. the resulting outer shape is a uniform rectangle shaped only on the front and rear to leave unchanged the original state of the external structure. 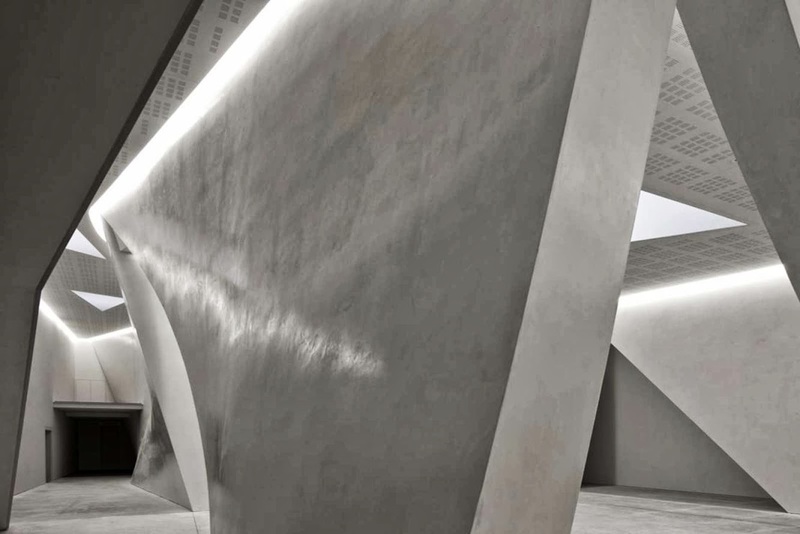 Tadao Ando inserted inside an entirely new volume that defines the area for theatrical performances and screenings and, giving an architectural shape to the space – it stands out like a new work of art that confronts the historical context in which it is placed. 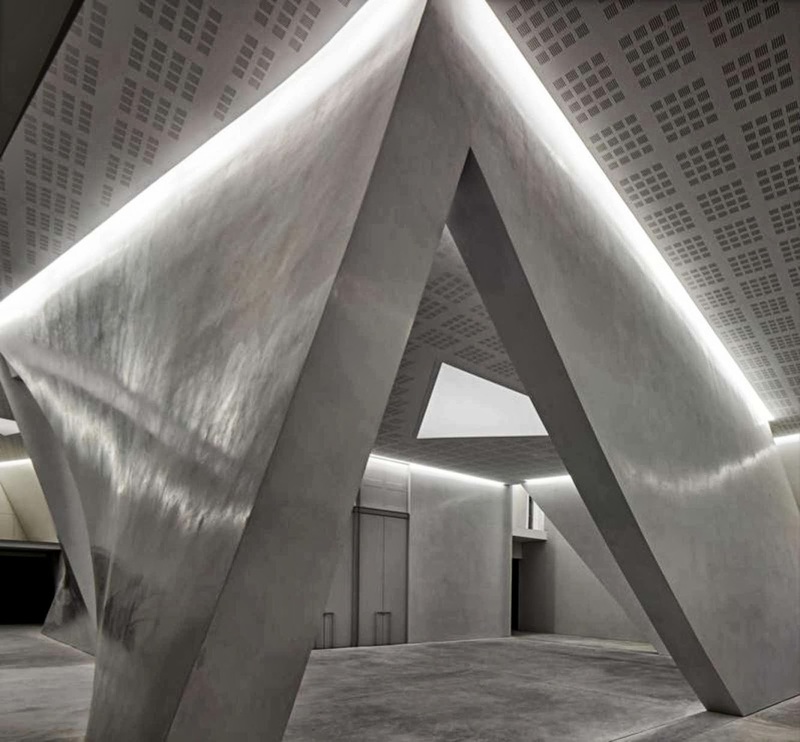 This new structure defines two main areas that characterize the functional and architectural restoration project of the Teatrino: the first is an auditorium with a stage, a backstage with a technical room and a flight of steps with seats for the audience. 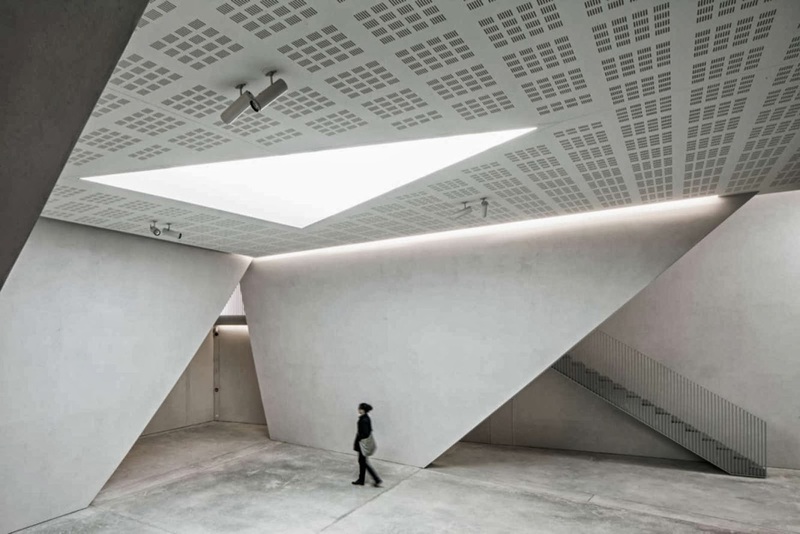 The second is a foyer characterized by its large triangular openings on the walls that allows the free coming and going between the foyer and the adjoining areas, and by the large triangular skylight that brings natural light inside the building. 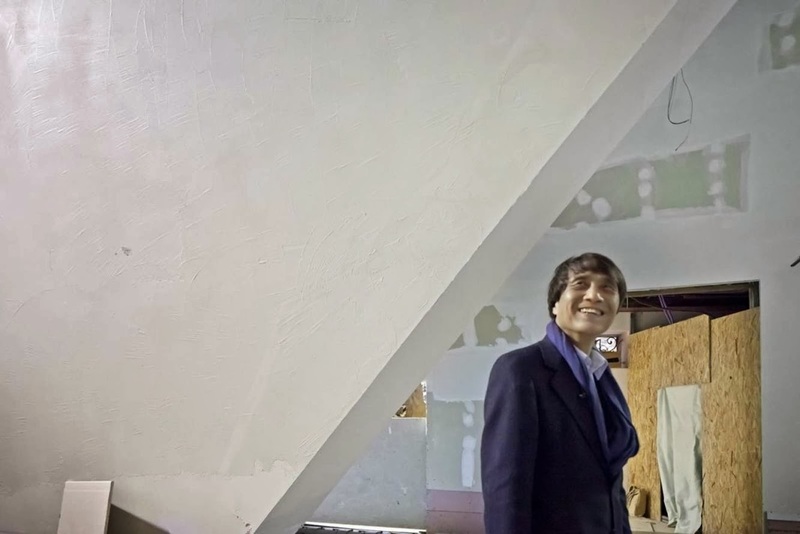 the control room, the translation booths and a storage area are located on an intermediate floor reachable by a side staircase. 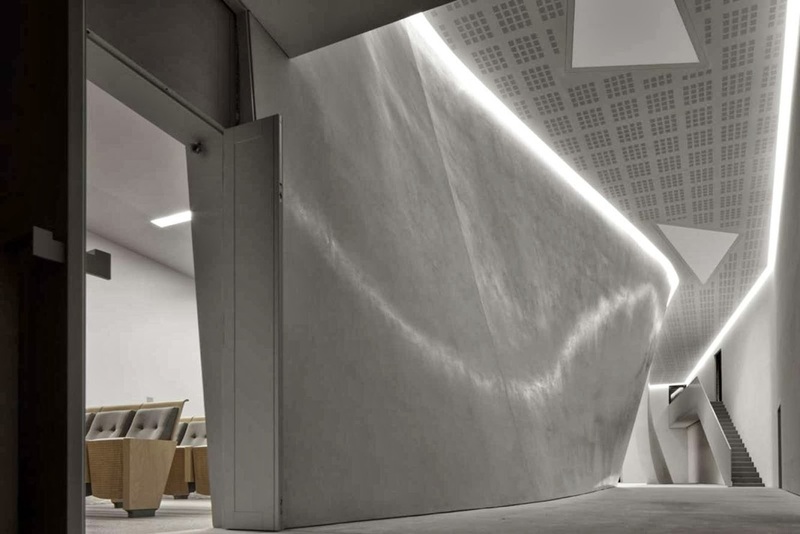 The vertical structures within the building were achieved by integrating the existing steel pillars, located along the perimeter and restored, with new steel structures, designed according to a curved line (the “twist” walls of the project). 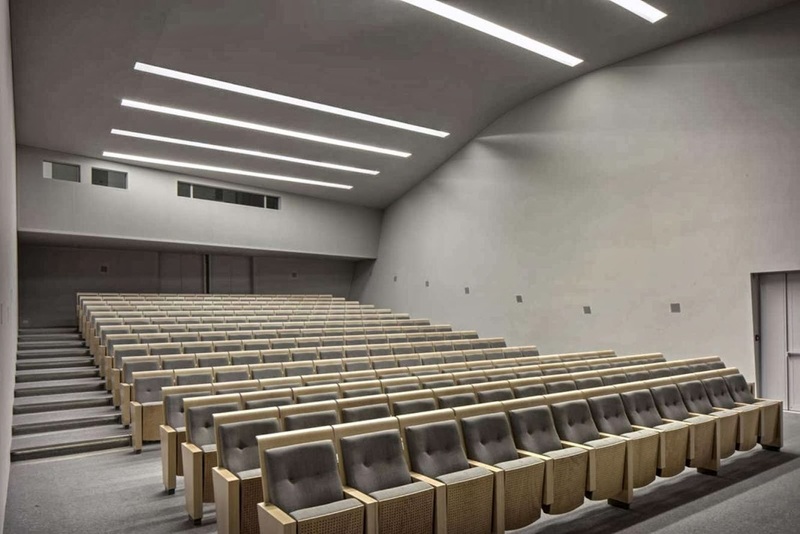 These pillars not only support the vertical load of the roof but also the walls specially created to guarantee that the auditorium is perfectly soundproof.